To install CartStack on your Miva store you will need to sign-up for a trial account if you haven't already - https://www.cartstack.com/sign-up/. Log into your Miva admin panel to add the CartStack tracking code to your global header. Go to Menu > User Interface > and select the "Settings" tab. Scroll down to the Global Header & Footer section. 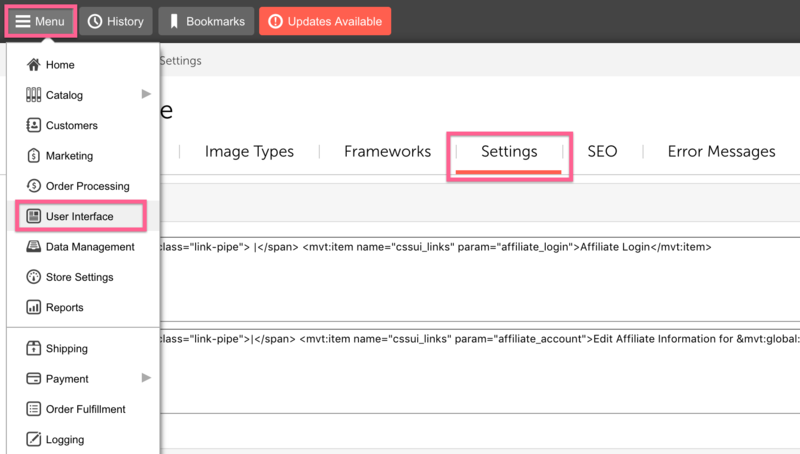 Then paste your CartStack tracking snippet at the TOP of the Global Header field. You can find your unique snippet on the code page of your account. Finally, follow the instructions on the code setup page to have us verify your integration.